Rock Dove or feral pigeon? 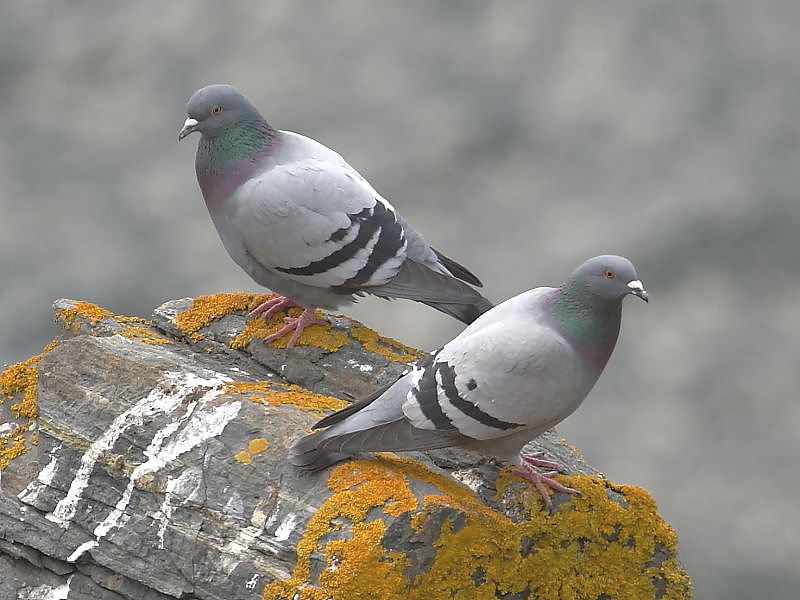 These pigeons, seen on Lizard Point in Cornwall last weekend, showed many of the identifying features of the true wild Rock Dove (Columba livia) that are now restricted to only a few locations in Scotland and Northern Ireland. In comparison to the often multi-coloured and much darker Feral Pigeon these birds had strong double wing bars, a whitish rump and the dark heads of wild Rock Doves. It would be easy to imagine that these pigeons were not too distant ancestors of Rock Doves living on this specacular coast line before their domestication and captive breeding produced the feral pigeon that is now so common throughout our cities and countryside.